of certain assets of GT Midwest. 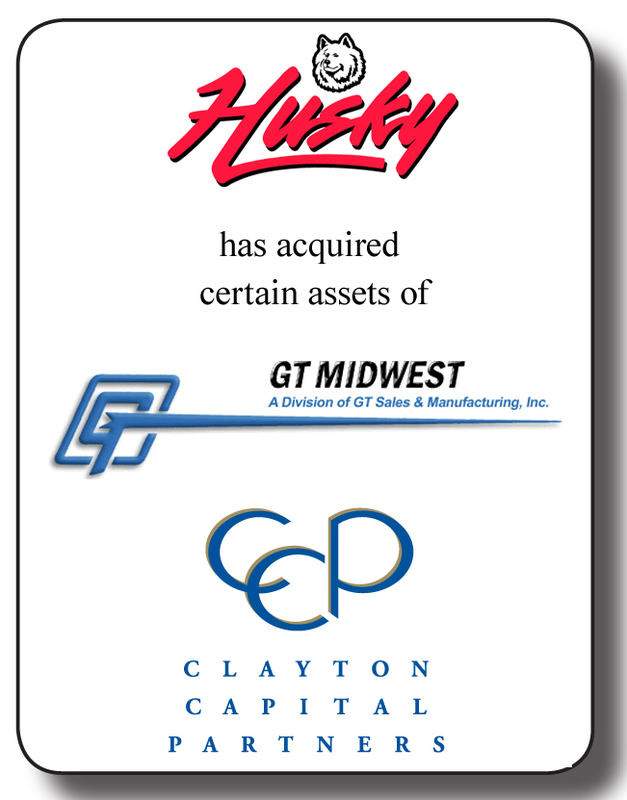 Clayton Capital Partners is pleased to announce the purchase of certain assets of GT Midwest, related to the production and distribution of petroleum transfer products, by its’ client, Husky. GT Sales & Manufacturing (www.gtmidwest.com ), based in Kansas City, MO, is an employee-owned manufacturer and distributor of a wide range of products and materials for industry and commerce. Husky Corporation (www.husky.com), based in Pacific, MO, is a leading manufacturer of high-quality nozzles, swivels, safe-t-breaks, and accessories for service station fuel delivery systems. Clayton Capital Partners (CCP) is one of the nation's top investment banking firms providing M&A advisory and corporate finance services to a diversified client base of middle-market companies. Clients have come to rely on our expertise, our commitment to client services and our innovative ability to create value. The principals at Clayton Capital Partners focus on satisfying the complex needs and objectives of our clients through our core business practices - Investment Banking and Exit Planning. Together, our professionals have acted as financial advisors in more than 200 advisory transactions with an aggregate value exceeding $1 billion.